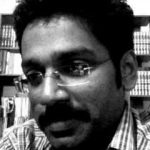 Vishal George Palliyathu has around 12 years of Information Development experience, with IBM and Cisco. He has led several migration and revamping efforts with a strong focus on better information design and ease of use using minimalist principles. As a DITA evangelist with four patents and a paper published on the DITA framework, he has also presented at DITA Europe, tcworld, and STC conferences. He has successfully worn many hats over the last decade – that of an Editor, Information Developer, Build smith, Lead, and Information Architect.